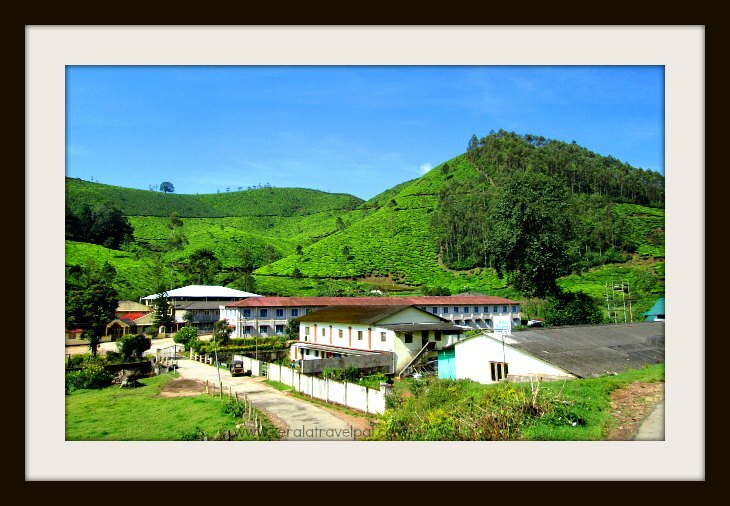 Tourist attractions in Munnar and in the wider locale are plenty. Apart from spectacular scenery, choice of interesting activities attracts different segments of tourists to here. Those on honeymoon may be satisfied with the serene landscape where clouds melt into smoky flakes while drawn away by compelling winds. Adventure lovers respond to the call of adrenalin by trekking the slopes and paragliding over the valleys. Does Tea excite you? Visit to a tea processing factory is one of the interesting experiences to have at Munnar. Witness the journey of transformation of green succulent leaves to black dry powder and what happens in between. The strong scent of tea at the processing plant may tempt you to buy some best of the breed stuff, an almost irresistible call for a tea lover. Kannan Devan Tea Factory is the incumbent, while other business houses such as Brooke Bond, AVT Tea and Harrison have developed their strong presence. Tea Museum is set up by Tata Tea. Antiques, photos and machines narrate the course of development of tea in Munnar. It is located at Nallathanni Estate in Munnar. Had enough of tea? Get to some higher altitudes where adventure awaits. Anamudi, Devikulam, Rajamala, Top Station, Meesapulimala and Kundala are popular with trekking fans. Anamudi is the highest mountain of South India, is also one of the top tourist attractions in Munnar. The 2700 meter high peak is the place to be, if you are after some good trekking. Devikulam is another pristine hilly spot just 7 kilometers from Munnar. Scenic Devikulam is also the location of Sita Devi Lake, considered to have medicinal water. It is also a good fishing spot. The dam at Pallivasal, located 8 Kilometers from Munnar, is the first hydro-electric project in Kerala. Fans of natural beauty find a visit to this beautiful locale worthwhile. Mattuppetti dam, 15 kilometers from Munnar, is a hydro electricity venture of State Electricity Board. Boating facilities are available at the dam. En route to Mattuppetti is Kundala, another dam equally pleasing for scenery as well as boat rides. Kundala tea plantations green blanket the near by hills and dales. Are you visiting Mattuppetty Dam? Combine it with a visit to the nearby Cattle Station. Mattupetty Dairy Farm is an Indo-Swiss venture for rearing high breed cattle. More than a hundred varieties of specialised cows can be seen here. Nilgiri tahr is rare animal which is facing extinction. Eravikulam National Park, 15 Kilometers from Munnar, is devoted to protecting them. The goat like animals, not shy of tourists, comes close even to a touchable distance. Although the park is close to a hundred square kilometres, visitors can access only the tourist’s zone in the Rajamala region. Eravikulam Park is promoted as one of the not to be missed tourist attractions in Munnar. Keep in mind, though, that there is nothing else other than the grass lands, mountain top scenery and goats. Visit to Eravikulam is great for animal lovers, but it may not be that exciting for others. If you had enough of the hills, settle at a waterfall. Chill out as the cool drops take over you with a water treat. 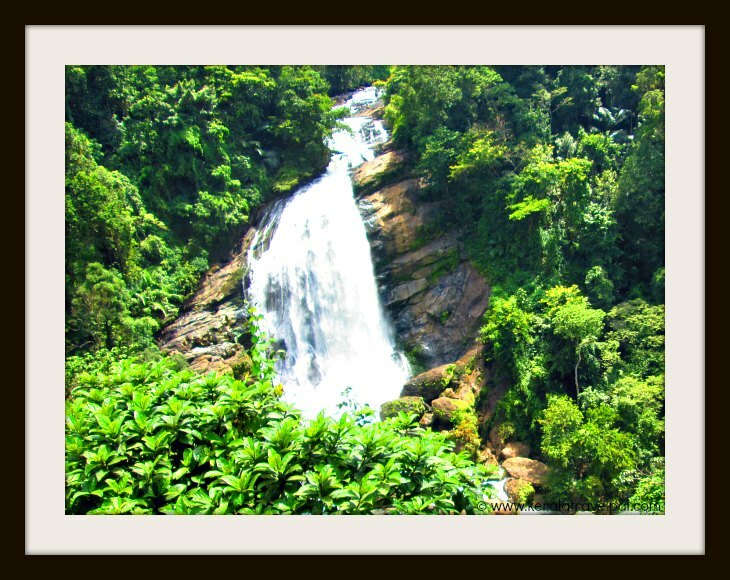 Nyamakkad waterfall is located near Pallivasal hydel project and Kundala tea plantations. Overpowering natural beauty itself is very relaxing even though the main waterfall is not too big. Many visitors to this picnic spot gets tempted to trek to nearby Nyamakkad Gap to enjoy panoramic view of wider Munnar. 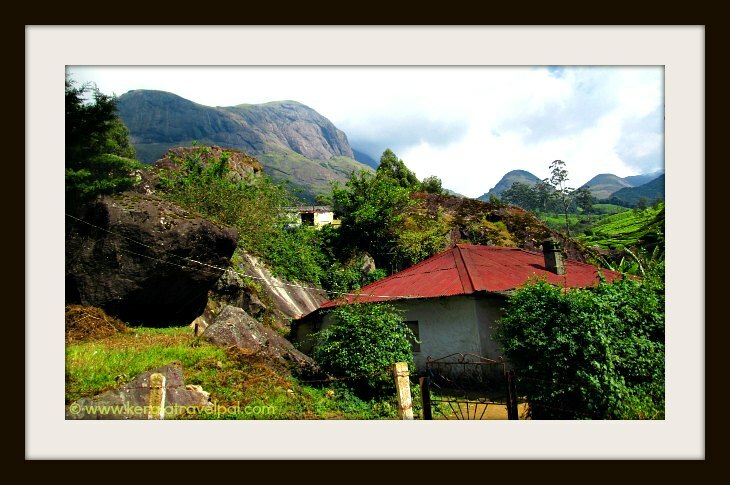 Nyamakkad is located 10 kilometres from Munnar, on Munnar-Rajamalai road. Power House waterfall (Chinnakanal) is another prominent cascade of the region. At 16 kilometres from Munnar, convenient location on the Madurai - Kochi highway makes it a popular stopover spot during Periyar Sanctuary Visit. Lakkom waterfall, formed by River Pambar, is located in Eravikulam National Park. Lakkom is a small fall compared to other falls made by the same river in locations not easily accessible. Attukal waterfall, surrounded by scenic contours, is another tourist attraction in Munnar. While travelling from Cochin to Munnar, you will see two waterfalls by the roadside. They are Cheeyappara and Valara falls. They are along the hill highway between Neriamangalam and Adimali. There is a lot to see and do in and around Munnar. The new chapter of rejuvenation during a visit to Munnar may be as intense as a strong drink of tea from the best of the local leaves.